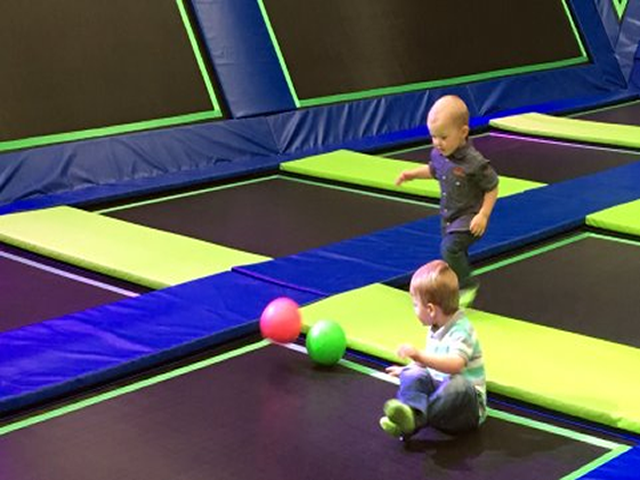 Bring your little ones along to one of their toddler sessions so they can enjoy all of the facilities in a safe and controlled environment; you can bounce too with complete ease of mind. Our energetic marshals will be there to help you have a great time and allow your child to explore their physical capabilities, plus it is a quick and easy way to tire the little jumpers out in time for their afternoon nap. Our toddler sessions run Monday, Wednesday and Friday between 10am-11am and 1pm-2pm*. They strongly recommend that you book in advance via their website (click here) or by phone to avoid disappointment. Price is £5 per jumper and an adult jumper must accompany and supervise under 5s at all times; please note that it is a maximum of 2 children per adult. Be sure to grab a pair of their safety socks before you bounce otherwise no socks no bounce (socks £2 per jumper).